Americans take their burgers seriously. Gone are the days when burgers were just the domain of fast food joints. Now big name restaurants are getting into the act and everyone’s after the “best burger in town”, and willing to pay for it. Minetta Tavern in New York City charge $26 for their Black Label Burger (and it’s still almost impossible to get a table!). What separates a great burger from a mediocre one is the meat and New York Butcher Pat La Frieda is the man they turn to for it. La Frieda sources and minces the meat for restaurants such as Minetta Tavern, Spotted Pig, Union Square Café and Shake Shack and the blend for each establishment is customised and kept highly confidential. Whilst the blend for each restaurant is secret it seems that beef short ribs and brisket are a staple starting point. Higher end cuts are added but the fat content and how it’s aged is a matter for speculation. So armed with this information I thought it was time to create my own “Black Label Burger”. I minced at home a combination of the cuts above and made sure that I didn’t make it too lean (fat is flavour and burgers, just like sausages, need to have a good ratio of fat to lean). This would have to be the juiciest and best burger EVER. There are no spices or sauces or herbs added to the burger – it’s all about the meat and the better the quality, the better the burger. I stuck to the normal accompaniments of lettuce, tomato and cheddar and recreated the secret Shake Shack burger sauce which really took this burger over the top. 400g beef short rib off the bone – make sure that the meats have a good percentage of fat on them. Mince the meats into a large bowl and using your hands combine well. 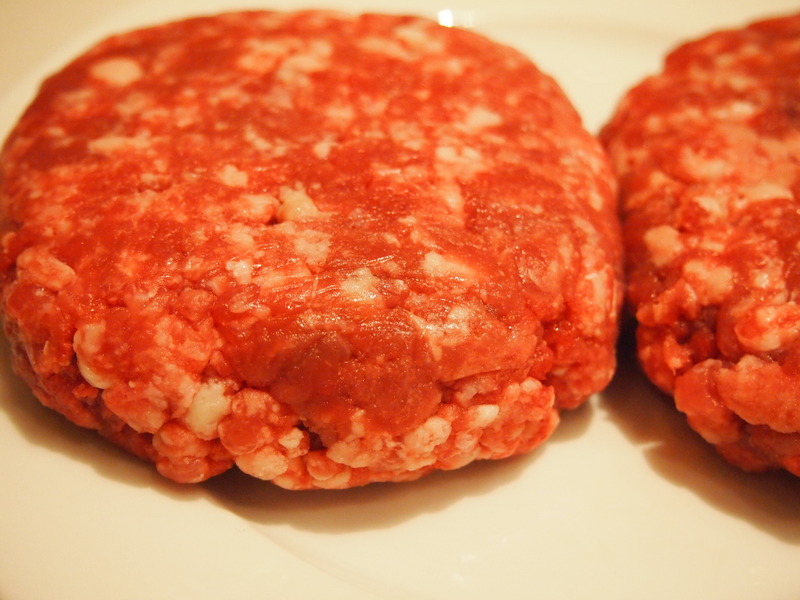 Do not salt the meat, only season the burgers just before they go on the grill. Divide the mixture into 8 evenly sized burgers (use a kitchen scale if you can), place on a tray and refrigerate until well chilled. 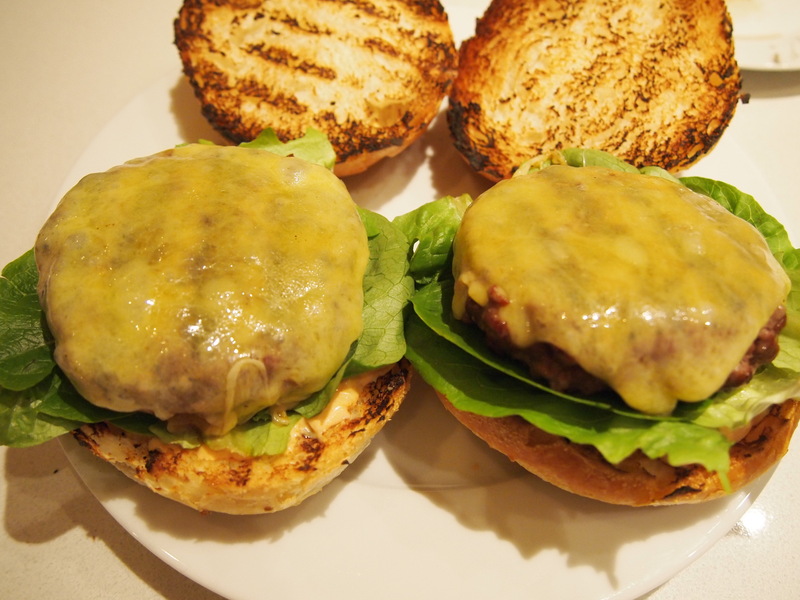 Just before your ready to cook take the burgers out of the fridge (the burgers shouldn’t come to room temperature before you cook them, they need to be fridge cold) and season them well with salt. Have all your condiments to hand and once the burgers are cooked on one side flip them and put a slice of cheddar on each burger so it melts whilst the other side of the burger cooks. 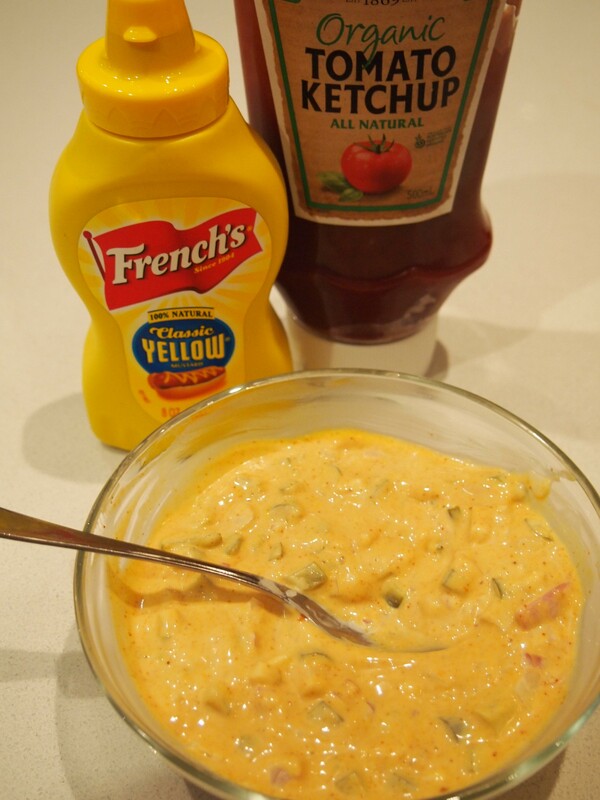 Place a generous dollop of the burger sauce on the bottom of each roll. Top with lettuce and tomato, and a squirt of ketchup. Place the burger on top of the ketchup. 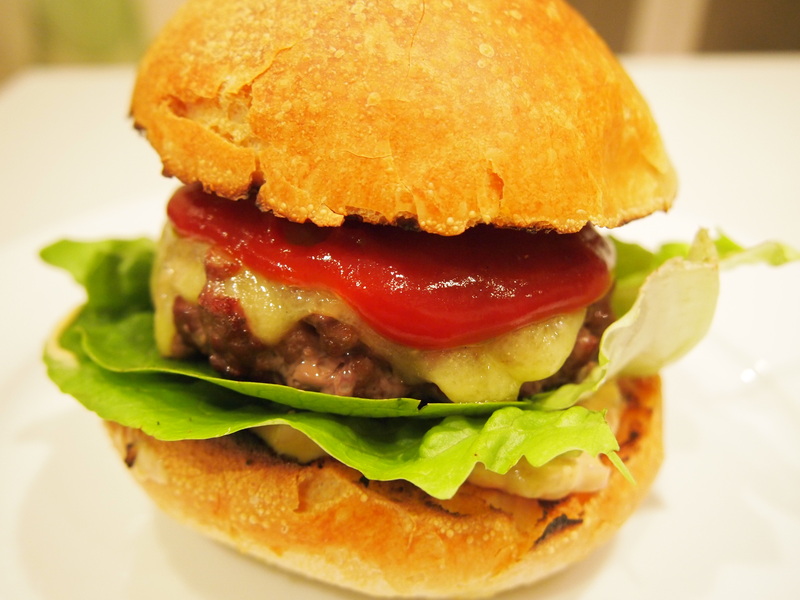 Add another dollop of the sauce to the other half of the bread roll and place on top of the burger. Secure with a bamboo skewer and devour whilst hot. 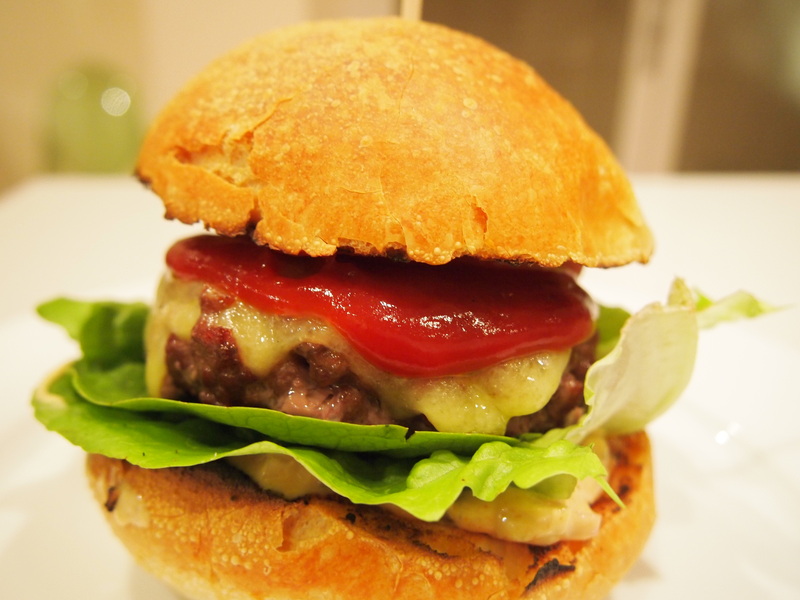 Here is a useful link of tips for making and cooking better burgers. Wow – they look fantastic and I am a Vegetarian, so that’s saying something!